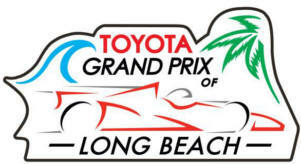 Get 2 FREE general admission tickets valid for Friday, April 13 Toyota Grand Prix of Long Beach in California. NOTE: Add 2 Fast Friday General admission (unreserved seating) tickets and enter promotional code COKE44, VERIZON44 or TACO44 at checkout to get them FREE! For For Sat/Sun discount passes use promotional code TALB44 at checkout. Neither one of the codes listed works. I was not able to get any free tickets. they were working when I posted them. I have added another code that you could use to get the tickets. HURRY! This code might expires as well. I have added another code that you could use to get the tickets. HURRY! The newest updated coupon doesn’t work anymore! Do you happen to have any others?? I just used VERIZON42 and got 2 free tickets. My co-worker tried the same code and it didn’t work. He tried VERIZON41 but could only get 1 ticket. I think you just have to keep trying. I keep looking and looking but everytime I find a link, the code has expired or they were for a previous year. Finally one for today but the offer has expired. use code Verizon42 at checkout, IT WORKS! Did you try code Verizon42 at checkout? How can I find to free ticket or register the code? This code TALB44 is for this year 2018 and it worked when I posted it. please try again and make sure to enter it as it is without any spaces etc. any codes for 2019 available?